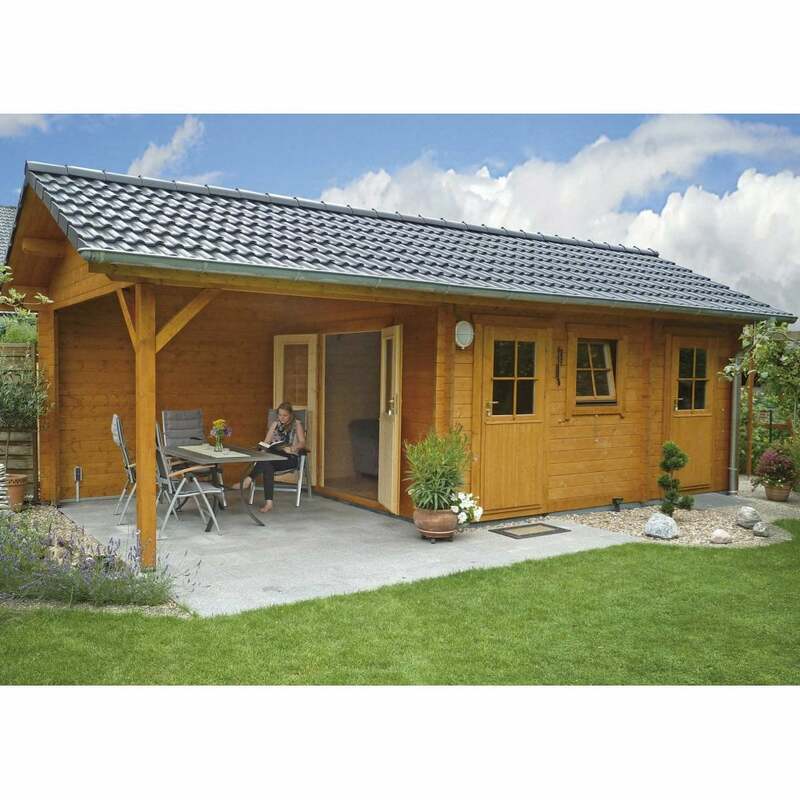 Bertsch Valentina Log Cabin: The Bertsch Valentina Log Cabin is a very attractive and yet practical building designed for those wanting a double room cabin with a large and very useful canopy covered veranda perhaps for garden furniture or maybe simply to relax in a shaded area. As with all Bertsch buildings this cabin is made to order and therefore offers much opportunity to modify to your own specification if so required. If you do wish to alter anything please sinply contact us and let us know your ideal design, we will then combine that into a practical and very useful building. Just to be sure that we have understood your needs we always ask the factory to prepare and send full factory drawings BEFORE they saw any wood. This allows you to check that we have understood exactly what you need. Most customers are very happy with the standard building which was designed for general use in any case.